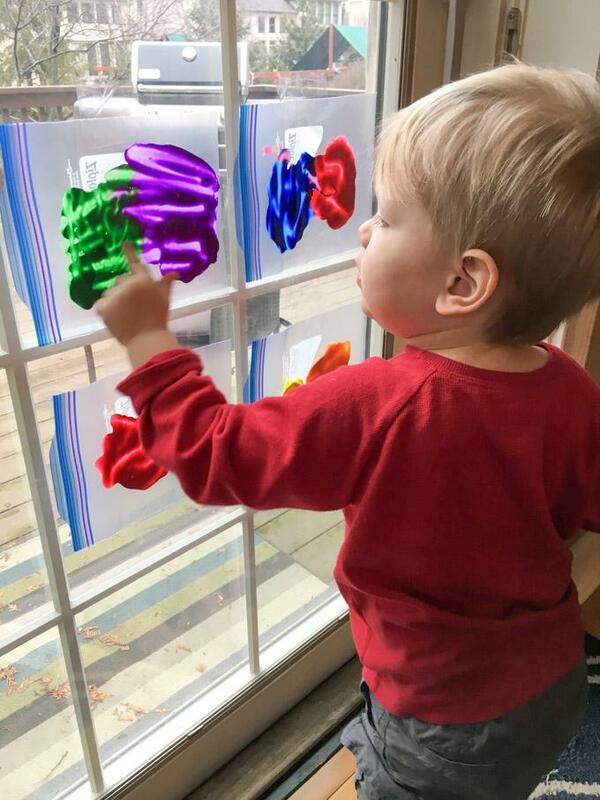 These Indoor Activities For Toddlers are perfect for winter or a rainy spring or summer day and many will help develop fine motor skills. Plus tips to make them harder for pre-school aged kids. 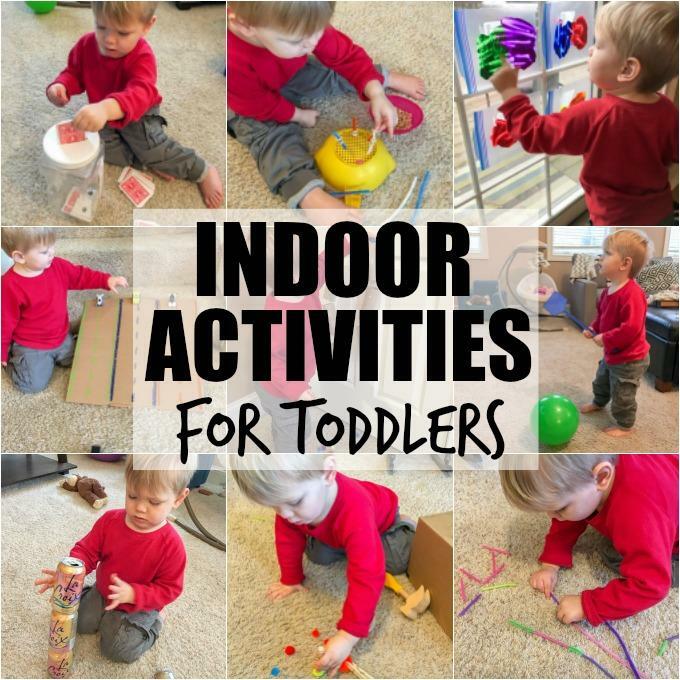 Today we’re talking indoor activities for toddlers. It’s been almost two years since I shared this post so I thought I’d bring it to your attention again in case you missed it the first time! I’m always looking for fun new activities to do with Squish and a lot of you seem to like when I share them on Instagram so I thought I’d round up some of my favorites to share with you guys! When I was in middle school, I did a lot of babysitting. I had some sort of babysitting certification from The Red Cross and during that course, they gave us the idea of making an activity kit to bring with you when babysitting. Sure, kids like their own toys, but there’s something about new games and activities that is especially exciting and tends to hold their interest longer. When I was in high school, I had a steady after-school nannying job for a two-year-old (who I just realized has probably no graduated high school and I now feel very old). Anyways, she wasn’t allowed to watch any TV and I spent several hours with her every day….so I had to get creative with things to keep her busy. When I graduated college, I worked at a pre-school for 6 months. Although my classroom was 4-5 year olds, I spent a lot of time in the 2-3 year old classroom as well. Now, I follow a lot of kid-focused pages on Facebook and Instagram, I browse Pinterest, I read family magazines and am constantly seeing new ideas I want to try. This post is a roundup of some of my favorite indoor activities for toddlers that I’ve seen and tried over the years. I’ve tried them all with Squish over the pas couple years or so and he really enjoys most of them. Note- I took all these pictures on the same day, but I wouldn’t advise trying them all out on the same day! Remember the new & exciting part? Save them up and try a couple at a time. We’ve got several more months of winter ahead of us! I also included some ways to make them harder. As kids get older, some of the things they could do six months ago are getting too easy….but there are ways to add a bit of a challenge to most of them, to make them more developmentally appropriate for older toddlers and even preschoolers! And here’s how I’ve been using them! 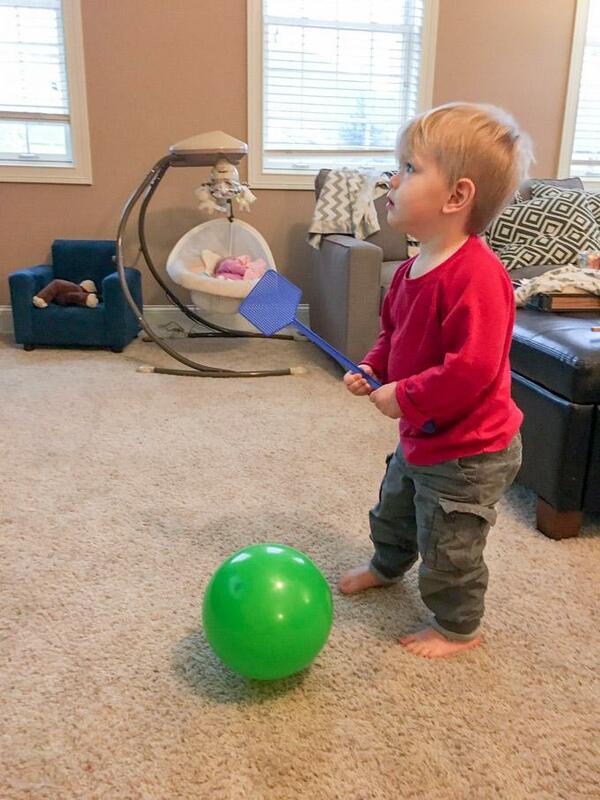 I blow up a couple of balloons, we each grab a fly swatter and go to town hitting them around the room. I let him hit it around for a while and then we also work on hitting it to keep it up in the air. Set up a goal and let them try to score. Have a contest to see how long they can keep it from touching the ground. Let them try to keep two balloons in the air at once! 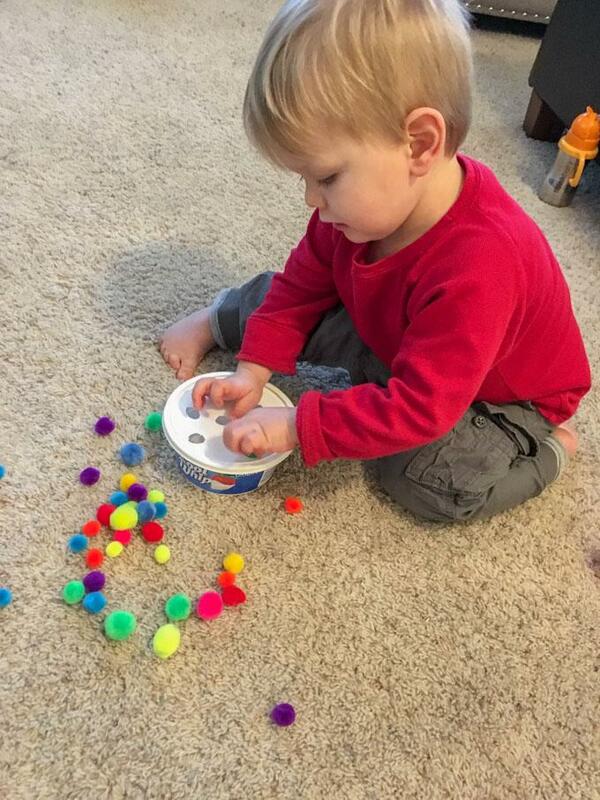 Take a plastic container and cut holes in the top and let them push the pom poms through the holes. Draw circles around the holes with a marker and let them push the blue pom poms through the blue hole, the green ones through the green holes, etc. Set a timer and see how many they can get in the container in 30 seconds or a minute. 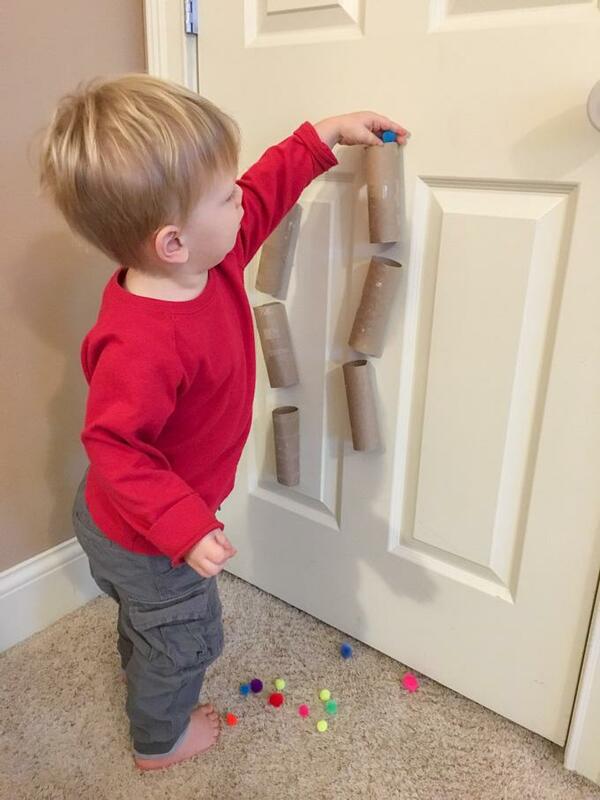 Save your toilet paper or paper towel rolls. Tape them to a door or wall and let them drop the pom poms through. Give them tongs or a clothespin to make picking up the pom poms more challenging. Let them tape the tubes up and see if they can get the angles right so the pom poms go through all the tubes on the way down. You drop the pom poms from the top and see if they can catch them in the bottom in a small bowl. Have them sort the pom poms into different containers by size or color. Divide the pom poms in half and have a race to see who can sort theirs the fastest! Give them a clothespin to use to pickup and move the pom poms into the different containers. Cut plastic straws into pieces. 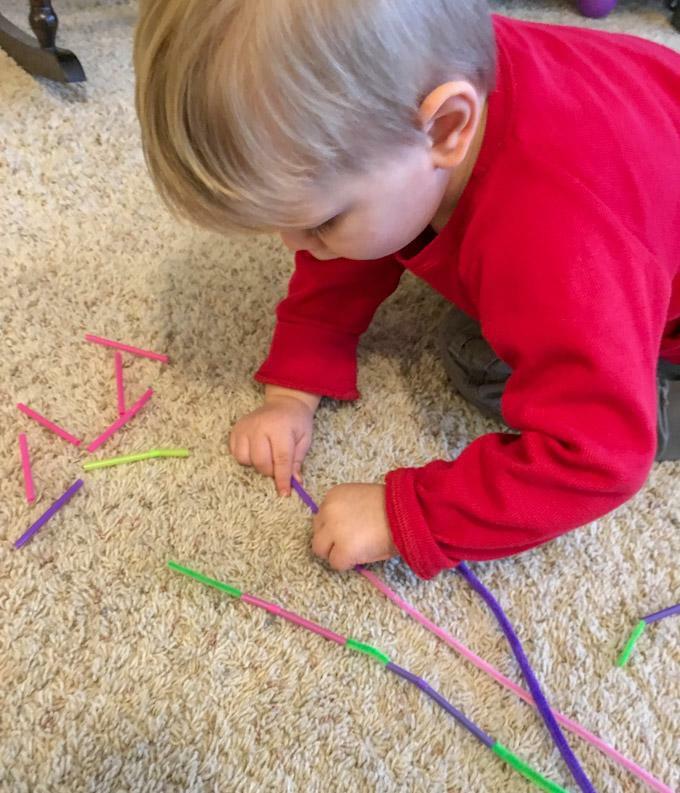 Let them thread the straw pieces onto the pipe cleaners. Have them thread the pieces on in a pattern of colors. 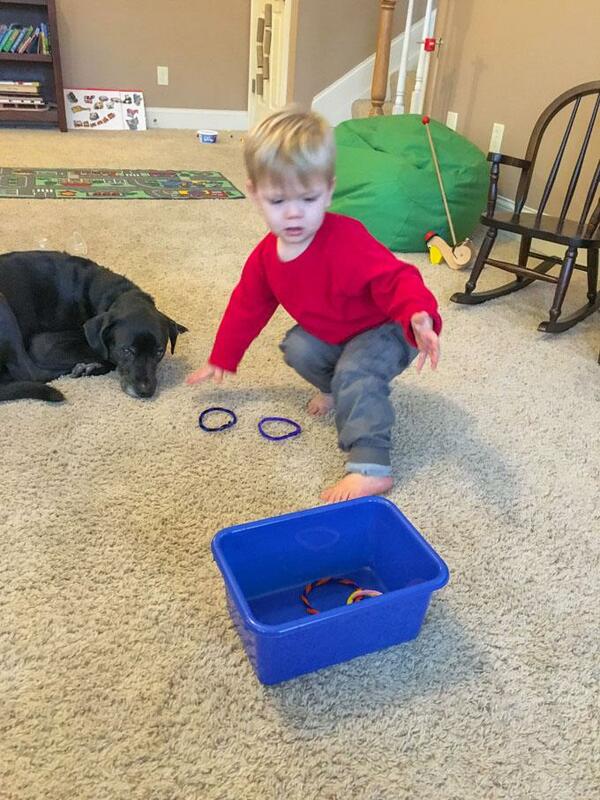 Twist some pipe cleaners together to make rings and toss them into bowls or buckets. Have them stand farther away. Set up multiple buckets and tell them to throw them into a specific one. See how many they can get in a row. 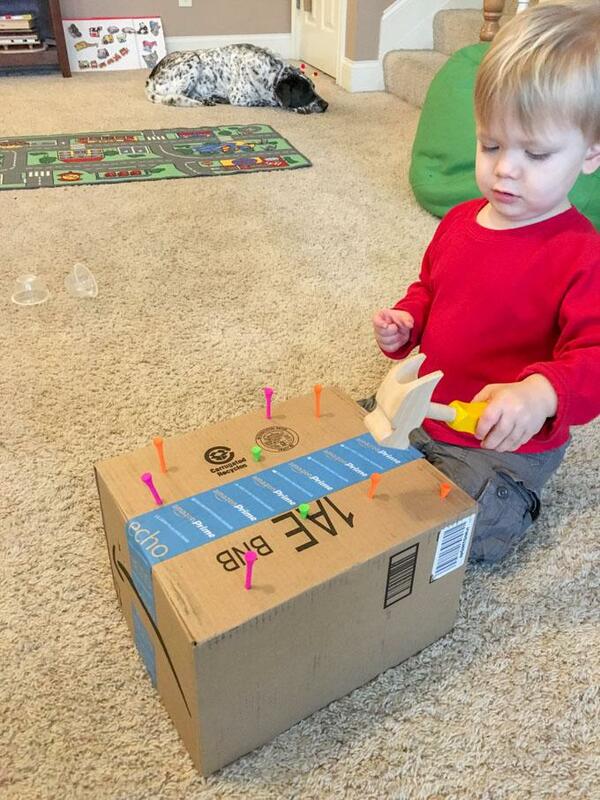 Poke golf tees into a cardboard box and let them hammer them in. Give them a smaller hammer. Tell them which color nails to hammer. Let them practice pulling them out and setting them back up again. Put a few blogs of paint into Ziploc bags. Seal them tightly and tape to a window or table. Let them fingerpaint just like they would on a piece of paper. Ask them to draw specific shapes or objects. Talk about what colors mix together to make new colors. 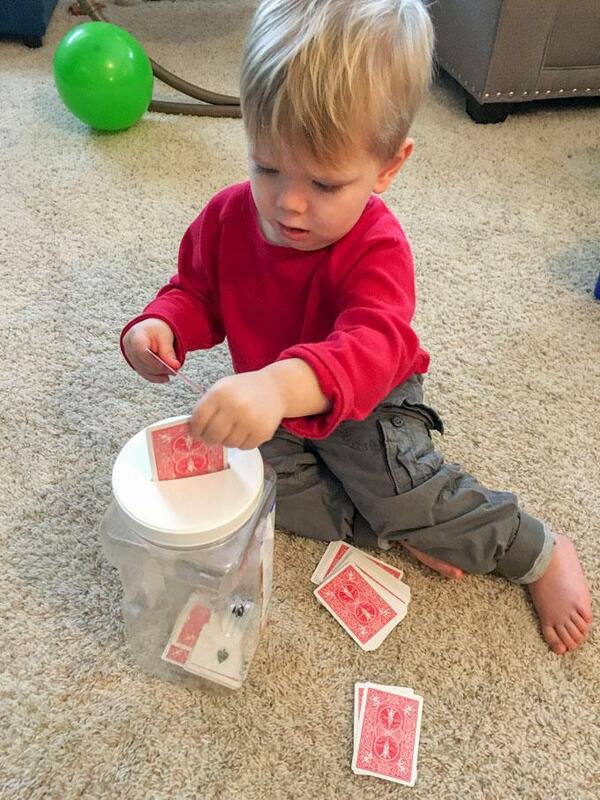 Cut a slot in the lid of a container and have them drop the cards in. Cut some holes as well and have them put q tips in. See how fast they can get them all in. Have them put them in by color or number. 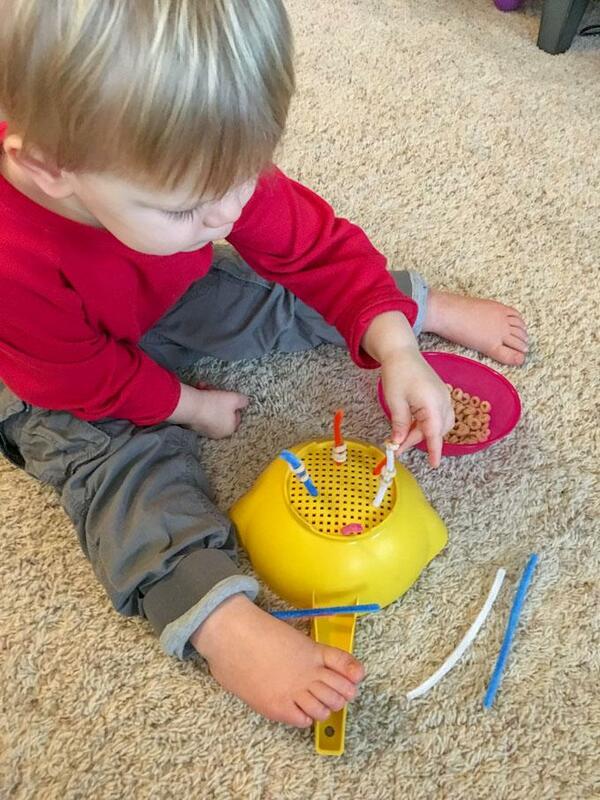 Cut pipe cleaners in half and let them push them through the holes of a colander. Give them Cheerios to thread onto the pipe cleaners. 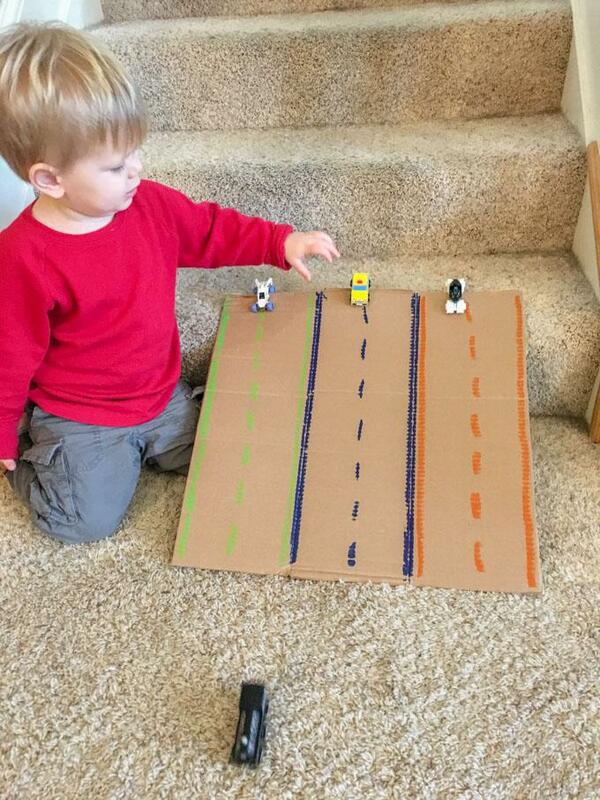 Draw lanes on a cardboard box to make a car ramp. Let them race their cars down it. See how high they can stack them up. Set them up like bowling pins and let them bowl with a wiffle ball or tennis ball. Like the ideas in the post? Be sure to pin it and share with your friends! Attached some cotton balls (or bunched up paper towels if you’re out of cotten balls like i was) to clothespins and let them paint! Work on colors, shapes, etc. I wrote a post all about Kitchen Tasks For Toddlers! Whew! I think that’s enough indoor activities for toddlers for one post. 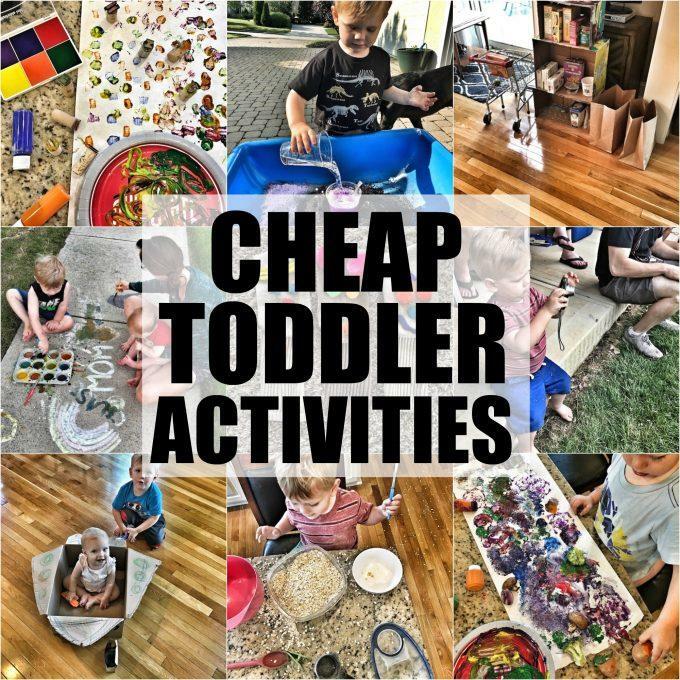 If you’re looking for more ideas, check out this post filled with Cheap Toddler Activities! Like the ideas in this post? Please pin it and share with your friends! What’s your favorite indoor activity for the kiddos? I’m always looking for new ideas! We play balloon volleyball all the time, never thought about balloon hockey, need to pick up some fly swatters! What a great idea! Love this post and great ideas! I really like that they are inexpensive and super kid friendly. I agree with you on the “new toys” thing, my daughter could have the same toy at home but when she plays with it at a friends house it’s like the best thing ever! Love all of these! 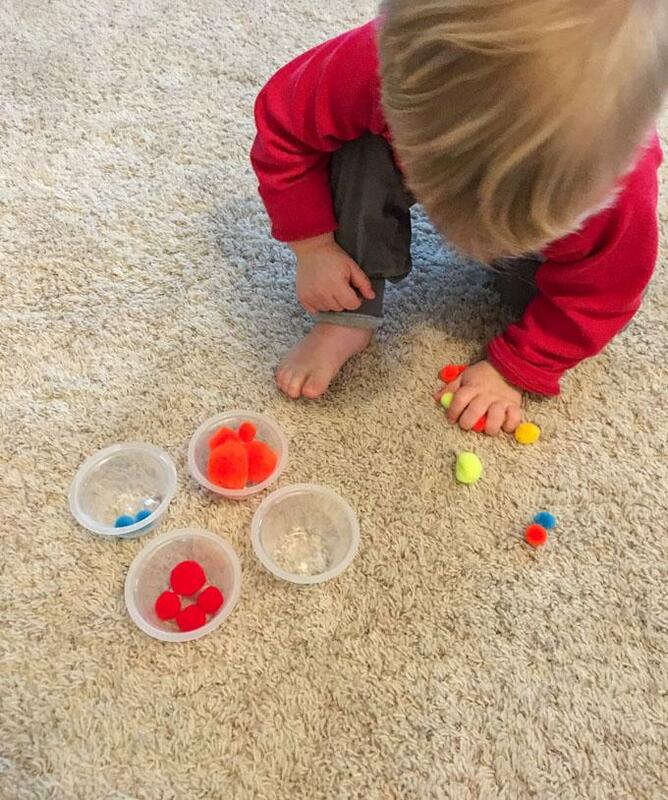 !Thanks for sharing, I have been looking up ideas for my toddler and these are perfect!! I love these ideas, especially the Pom poms activities. And they’re budget proof! I am so happy and excited I came across this it’s going to be triple digits this weekend and I’ve got my granddaughter. Can’t wait to do these. Thanks for sharing. These are great ideas! And wonderful for building fine motor skills! 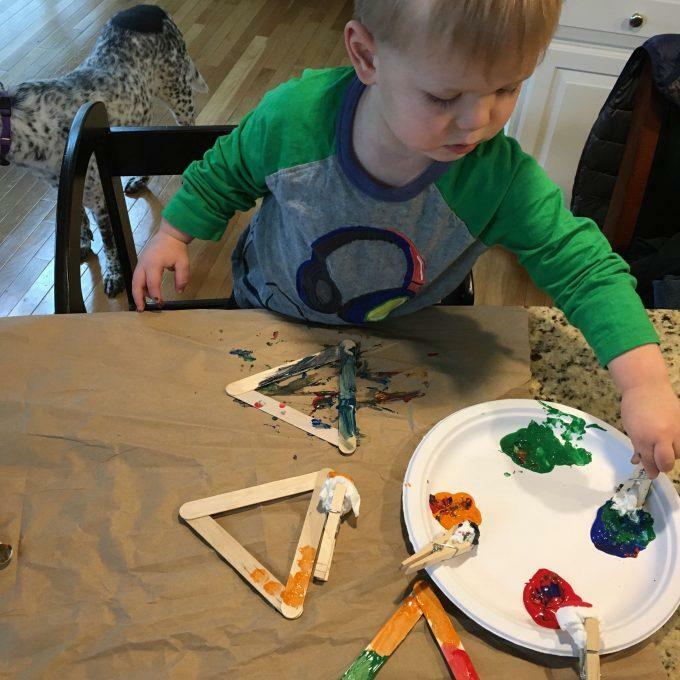 It is always nice to have something for our little ones to do on those rainy days and even better when the materials are everyday household items!! 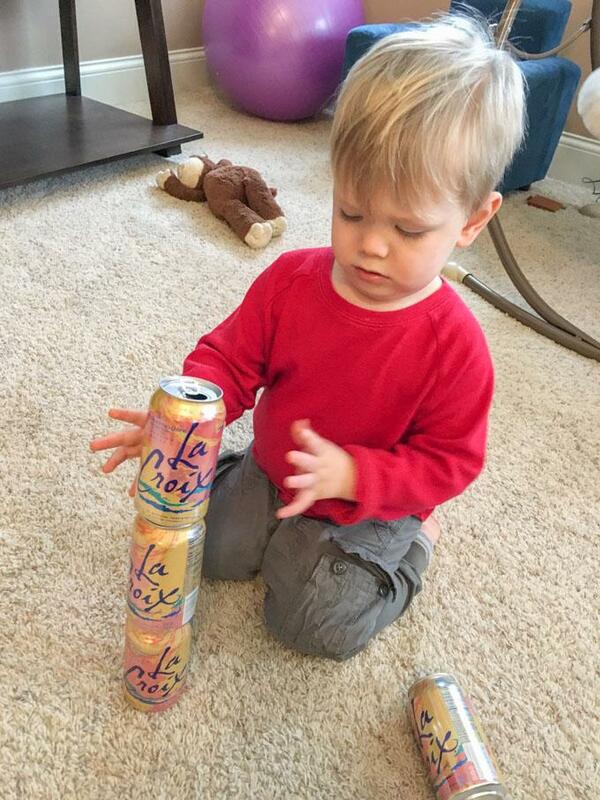 A word of caution – be careful when allowing little ones to play with aluminum cans. Empty cans pose a risk with their sharp edges around the opening. Curious toddlers just love poking their fingers inside holes. They can cut their fingers on the edges, get them stuck inside between the tab and the opening and hurt themselves trying to get their fingers back out. If they manage to get the tab off, they can also swallow it/choke. My own little one one got an aluminum can out of our recycling bin once and got her finger stuck in the opening. Luckily, I was right beside her and was able to get it out slowly and carefully with no injury. Probably best to use something like empty boxes for stacking. Great ideas. I’m always looking for new things to do with my 2 year old. We are going to have to try some of these now that the weather is getting colder. amazing!!! Thanks for taking the time to share! These are AWESOME ideas to keep the little ones busy during this frigid weather.